Cádiz is a city that is always beautiful to visit, but maybe a perfect timing for this visit is between the 16th to 25th February. That’s when the Carnaval de Cadiz takes place. That’s when Cádiz gets crazy. It is a widely-held opinion that the city of Cádiz is blessed with the wittiest people in Spain, so it is not surprising that the main characteristics of the carnival in Cádiz are the acerbic criticisms, the droll plays on words, stinging sarcasm, and the irreverence of parody. While some carnivals, elsewhere in the world, stress the spectacular, the glamorous, or the scandalous in costumes, Cádiz distinguishes itself with the sheer cleverness and fertile imagination of its carnival attire. It is traditional to paint the face as a humble substitute for a mask. It is easy to get involved in the fiesta even if one is a visitor and knows no Spanish. On Saturday, everyone wears a costume, which, many times, is related to the most polemical aspects of the news. 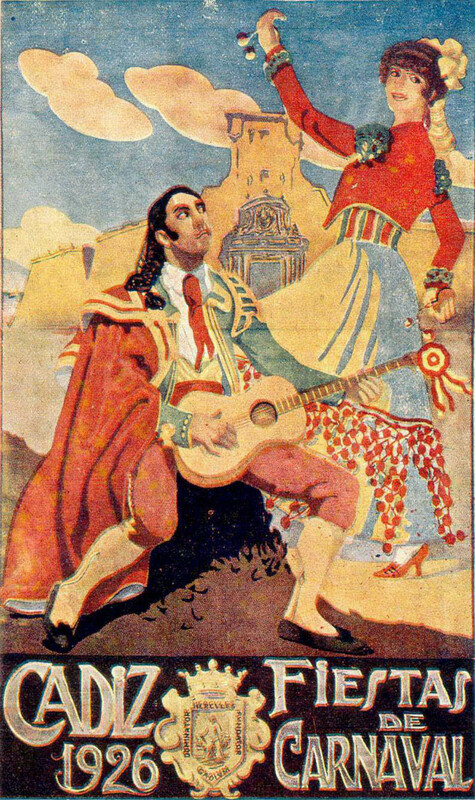 However, the Carnival of Cádiz is most famous for the satirical groups of performers called chirigotas. Their music and their lyrics are in the center of the carnival. tripNETer recommends you to visit Cádiz for the carnivals and enjoy the particular taste of this city.